Finally, some good news in customer service! 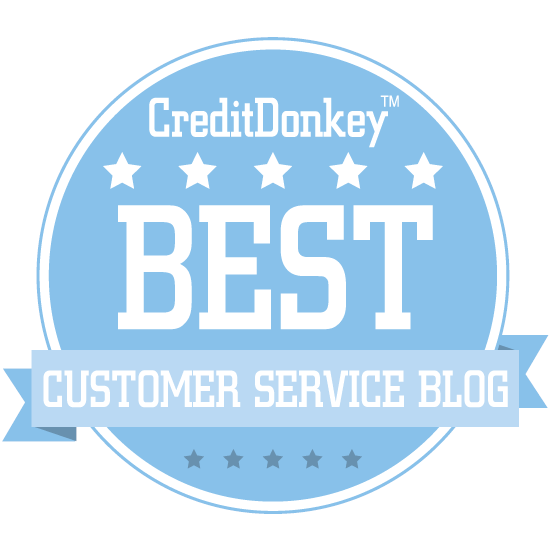 The American Customer Satisfaction Index (ACSI) Finance and Insurance report has just been released and banks have posted a big 5.3 percent increase in customer satisfaction. National banks have improved even more, claiming a 6.9 percent satisfaction gain. This is despite Wells Fargo's inclusion in this group, the same infamous Wells Fargo that made national headlines in September for a phony account scandal. You can view the full report here or keep reading to learn the top drivers, some areas for improvement, and one big opportunity. Plus, I have a question for you at the end. Here are the most highly-rated customer satisfaction drivers in ACSI's report. Each score is reported on a 100-point scale. The top driver isn't too surprising. It's well known that investing in employees with customer service training and developing a customer-focused culture can lead to happy customers. It also may be a sign of the times that banking issues requiring an employee's assistance are increasingly complex. This has proven to be true in other industries, like contact centers, where customers have a bevy of options for simple transactions but need a friendly, capable person for difficult or confusing tasks. What's interesting, but also not surprising, is that smaller banks fared poorly in these areas compared to national banks like Citi and Chase. That's the challenge of being small. Smaller banks still have higher overall satisfaction levels than national banks because they consistently outperform the larger banks in other categories, especially Courtesy and Helpfulness of Staff (the top driver). ACSI's report didn't dive into loans, particular home mortgages. Information compiled from a few other sources indicates this is a major opportunity for banks to set themselves apart from the competition. But, dive deeper into the report and you'll learn that 21 percent of home mortgage customers regret their choice of lender. It's not uncommon to hear horror stories like this one from customer service expert Michael Lowenstein. A 2015 report from the consulting firm PwC revealed that home mortgages may be damaging consumer relationships with their existing banks. The nearly 2,000 loan customers surveyed ranked having an existing banking relationship as the most important factor when choosing a home lender. Yet this factor had the third lowest satisfaction rating. This suggests that banks need to find a way to make it easier for their current customers to apply for a home loan. Have you had a recent banking experience that stands out? Please leave a comment and let me know.